Welcome to my Blog. I am amazed that with the help of my good friend and former colleague, http//carolynwinter.wordpress.com , I have begun a new journey into the world of blogging! It’s sure to be an interesting pursuit and I see it as an opportunity to “meet” other people who may share my interests in gardens and gardening, photography and networking. Over the past 2 years, since retiring from my Toronto job, I’ve had more time to enjoy our rural lake view property and pursue my other interests. I never go anywhere without my camera as I’m afraid that I might miss out on photographic opportunities that are all around ……… new flowers in bloom, birds and other wildlife and sunsets over Lake Ontario!!! Using the best of the photos that I take, I make framed keepsake photo greeting cards so I can share these images with friends and others. These cards are available at the following locations: Algoma Orchards and Newcastle Home Decor in Newcastle, Bear Essentials in Millbrook, Rekkers Gardens in Bowmanville and Brooklin Floral and Garden Shoppe in Whitby. Some of these locations also carry my new photo trays. A few times each year, I set up shop as an artisan at B and B and Garden Tours. It seems such a shame not to share the joy that I experience in the beauty of nature captured from behind the lens. “Your Garden or Mine?” was established by me a year ago and I respond to calls from other gardeners saying “my peonies are in bloom, can you come and get some pictures before they’re finished? Their favourites are made into cards that already “matted” so that when they send them to friends or family members for special occasions or “just because I’m thinking of you” these matted quality cards can be easily framed as 5 x 7’s. Also, at the request of their owners, I load up my camera equipment and take photos of their property featuring some of their special blooms and flower beds from which I make Memory CDs/DVDs. This is a great idea because their favourite photos can be printed as cards or framed to any size at a later date. For someone who is moving and having to leave their beautiful home and gardens to the care of someone else, I am able to capture these images in the beautiful morning or evening light at different times of the day and year. Keep this in mind as a gift to friends or family! 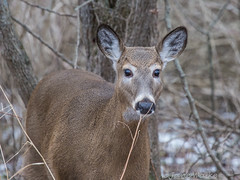 My Blog will feature photos that I take on my own property, those of clients and on my frequent outings in the Durham region. I hope you willm enjoy these posts and galleries and share them with your friends! It was fun meeting you yesterday at the art show in Newcastle. We talked about my ‘Brownie’ camera and love of photography too. I just love your photo of ‘Along the Fenceline” – it’s not a card I will be sending but keeping for myself! You mentioned that you would let me know where you purchased the card holder that sat on your table – 3 tiers. I have some cards in a florist shop and have had a hard time finding something suitable to hold them. I’ll keep my eyes open for the floor stand you were lucky to get from a store that was closing. My friend Anne and I enjoyed our day at the art show so much – the weather, lake and mostly the friendly people we met. Hopefully, we will run into each other sometime – we seem to have many mutual interests. I do remember you from the show, our discussion about starting out with a llittle Brownie camera (that really dates us!) and my promise to try to find the name of the place in Scarborough where I get the little plastic stand…..the 3 tier and some other small more reasonable ones. I’ll e-mail you the informaton later this week after I have a chance to go through my receipts. I’m glad that you like the fenceline photo matted in the framed photo greeting card. It’s one of my favourites too as it is quite unique! The show along the lakefront was a great one with such a fantastic setting and wonderfulweather. I plan to put some of the Bond Head photos on my blog today or tomorrow. I wish you all the best in your photography adventures and in selling your cards. Perhaps we will meet at another art show in the future but you will be there with a little booth too! I’m so impressed with the development of your talent. Your gardening expertise as well as your photography skills are being shared now by so many. Congratulations! I sure love the photos you have taken of my garden! They will be a treasure for me forever especially since I lack the skills you have with a camera. I know your readers will benefit from your expertise as well. Thank you so much for your positive comments. I really do enjoy both gardening and photography! It was a pleasure photographing your beautiful gardens in Aruba. Hope you have been able to use the framed photo greeting cards and the post cards that you ordered as “thank you’s” for your renters. Hi, Jane – it’s Cynthia (Kathryn’s daughter). Just posting here so you know our email address. Mum is looking forward to seeing your photos of her arrangement. I love the header/banner photo on this main page! Saw your Mom at Christmas in Clarington while showing my cards and photo serving trays…..they were a new item and were a great hit! I’ll get the photos ready of your Mom’s winner at the November meeting of Bowmanville Horticultural Society and e-amil it to you early this coming week. Thanks for your message. It was certainly a pleasure meeting you, and sharing some of our photography experiences. That interesting little bird we saw today is a Horned Grebe. I hope you get the opportunity to visit my blog in the near future. Thank you for identifying the liitle duck for me and also for your input on storing photos. I had a look at your website http://daniels-view.blogspot.com and it’s great. no idea about the other one. Enjoy your adventures behind your lens. Your tulips and your photos are amazing! My irises are beginning to bloom now, and you’ve inspired me to get out there and take some pictures. It is easy to get inspired by tuluips and other Spring flowers….they are my favourite. And yes, get out there and take some pictures. You’ll be glad to look at them when the long “winter” sets in up North. HI Everyone! I first met Jane Walker, not through her cards, but in a YOGA class. Over the last 2 years, Jane & I have enjoyed coffee, chat and a developing friendship. I have seen many cards using photographs for sale over the years. 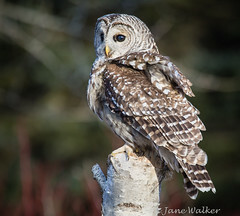 Jane’s photographs are the most exquisite I have ever seen. I look forward to receiving one (and sometimes, a few as gifts, as Jane knows I love them so much) on my birthday each year. A few of my favorites are the butterflies and the recent one of the macaw at the zoo! Enjoy! If my day lilies are in good bloom this July, I hope to have Jane come and photograph them, and have my very own “Your Garden or Mine?” cards to give to friends. Thanks so much for your encouraging, kind words and taking the time to respond to my Blog. I really do appreciate it. I’m taking photos for Hearth Place (cancer support centre) next week so I may not make it to yoga. I’d also love to see your day lilies and take some photos of your garden in case you would like cards that are more personal. Thank you Sheila for choosing to follow my blog as well. I can see that you are very disciplined and post on a regular basis. I’m afraid I don’t make the time to do that.Glad you liked my photos. Thanks Sheila for taking the time to look at my blog. I really enjoy my time taking photos. 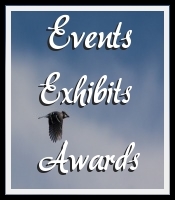 Thank you so much for nominating me for a WordPress award. You are so kind and offer so much encouragement. I greatly appreciate it. 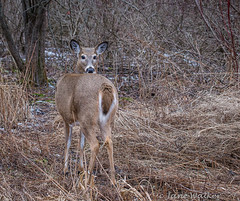 Hi Jane – we just met this afternoon at the lookout over Cranberry Marsh on Hall’s road. Thanks for telling me about your blog site. I love your pictures, especially your Owl album! I will need to start looking harder, I really want to find one (or a few)! I just love your Barn Owl photo – this has to be my favourite Owl. Glad you did take the time to look at my owl photos. Just keep meeting other birders and photographers and they will usually share information on the whereabouts of these marvellous creatures. Good luck!